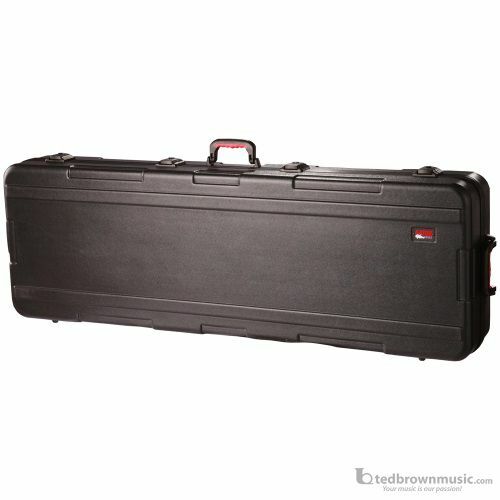 ATA Molded PE Case with TSA Latches and Wheels for 88 Note Keyboards with Reduced Interior Depth Extra Long. Nearly indestructable polythylene construction with unique wedge and block design for interior customizing. Two TSA locking latches with impact diversion dishes. Two rubber gripped handles with 130lb weight capacity. 200lb recessed in-line wheel weight capacity with solid aluminum valance with black powder finish.